Depending on the job you're applying for, a writing sample might be a requirement of the applicant screening process. Employers for most professional jobs place a high value on writing skills when screening applicants. 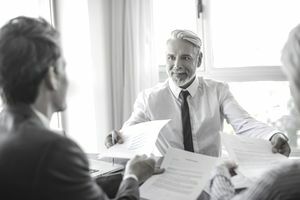 It is not uncommon for hiring managers to request a writing sample in addition to a resume or cover letter when they conduct their initial review of candidates. Or, you may be asked to bring a writing sample to a job interview. Here's information regarding when companies request writing samples and how to submit them. You'll also find tips about choosing a writing sample as well as about how to write one. When Do Employers Request a Writing Sample? This is a common requirement for writing-intensive jobs in journalism, content development, publishing, public relations, communications, research, and consulting. However, you may be asked to provide a writing sample, or other examples of your work, for other types of positions. For example, if you are applying for a position as an executive assistant to the CEO of a Fortune 500 company, and he or she will need you to write some of their correspondence, your writing skills are key. The employer's goal is to determine whether you have the writing skills they are seeking. Your writing sample may be read for tone and style, as well as for content, grammar, spelling, and punctuation. Employer requirements vary as to what is asked for and when during the application process applicants are asked to submit their sample. So remember, what you will be asked for depends entirely on the job and the company. The most important consideration when choosing a writing sample should be quality. Make sure the writing is your very best and have it reviewed for content, spelling, and grammar before submitting; carefully proofread your sample. If you don't have professional writing experience, you may have other options. For example, an academic paper which was well-received by a faculty member will suffice as a sample if you're applying for a job at a university. A published article, either in print or online, is another good option. If you have a blog, feel free to submit your best blog post. If you've written posts on LinkedIn with content that relates to the job, go ahead and use that. If you're lucky enough to have published articles, especially for media jobs, that will bolster your credentials as a candidate. You should always match the type of writing in your sample to the kind of writing required in your target job. For example, a journalistically-styled piece (or a press release that tells a story) is most suitable for media-related jobs, while an academic paper works best for a research job. It can also be helpful to supply a sample with content similar to the topics you might be writing about. For example, an analysis of the use of social media to promote products might be useful for a job with a public relations or marketing firm. Don't be intimidated if you don't have a writing sample to submit. It's always an option to compose a piece especially geared towards a particular position. In fact, the hiring manager might appreciate your initiative. Just make sure the sample reflects your strongest writing. Carefully follow any guidelines that your prospective employer provides regarding length or format. The employer may specify a word count. If no length is specified, then you should generally stick to two to four pages of text. If you're providing an academic sample, you can extract a segment from a longer paper if your sample is self-contained and understandable on its own. If you do this, then label your excerpt something like, "Introduction and Conclusion from a 30-page Thesis entitled The Evolution of Gender Roles in Post Industrial America." Generally, directions for how to submit a writing sample are included in the job posting or provided by the employer. You may be asked either to email your writing sample with your resume and cover letter or to upload it to an online portal along with your other application materials. If you're asked to bring a writing sample to an interview, print several copies. This way you'll have enough for whomever you might meet with. The easiest way to bring them is in a portfolio along with extra copies of your resume and a list of references. When applying for jobs where writing is involved, be proactive. Even if an employer hasn't requested a sample, you can bring one to the interview or post samples on their website. If you want to go the extra distance, consider setting up a personal website where you can store your writing samples, as well as other examples of your work. Can Employers List That in a Job Ad? What Job Titles Can You Expect in Public Relations Careers?